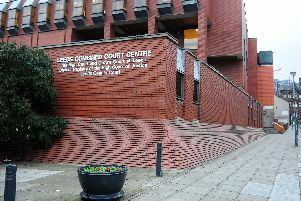 A Lithuanian man suspected of throwing a woman out of a third floor window at a Leeds block of flats has been added to a list of “Europe’s most wanted” people. Arunas Garšva, 32, is on the run and wanted by West Yorkshire Police for attempted murder and causing grievous bodily harm with intent in connection with the incident in January 2010. The victim, a 24-year-old woman, was found in the street outside Loom House, on East Street, on the edge of the city centre, with serious injuries to her back. West Yorkshire Police successfully applied for a European Arrest Warrant to bring Garšva back to England but have not yet been able to track him down. The National Crime Agency today revealed that his name has been added to a new website dedicated to tracing Europe’s most wanted individuals. The website - www.eumostwanted.eu - has been created by the European Network of Fugitive Active Search Teams (ENFAST) and will feature high-profile ‘wanted’ criminals who have been convicted or suspected of having committed serious crimes or terrorist acts across Europe. The NCA, considered Britain’s answer to the FBI, has joined forces with law enforcement partners across Europe to populate the new website. The Agency’s International Crime Bureau will be responsible for uploading details of fugitives wanted in the UK, and sharing any leads or intelligence with local police forces for investigation. The site also includes appeals for information on Derek McGraw Ferguson, who is wanted by Police Scotland in connection with the June 2007 murder of Thomas Cameron at the Auchinairn Tavern, Bishopbriggs near Glasgow..
Dave Allen, Head of the NCA’s UK International Crime Bureau said: “We already have very successful ‘Most Wanted’ campaigns that focus on individuals who are thought to be in Spain, Cyprus and the Netherlands. This is the first European initiative to jointly present a ‘Most Wanted’ list on a common platform and the website will be available in 17 languages and populated by the 28 EU member states. Garšva’s last known address and current whereabouts are not known, according to the NCA, but he is thought to have returned to his native Lithuania.